and his wife Margaret Apostolic Church, Lisburn. 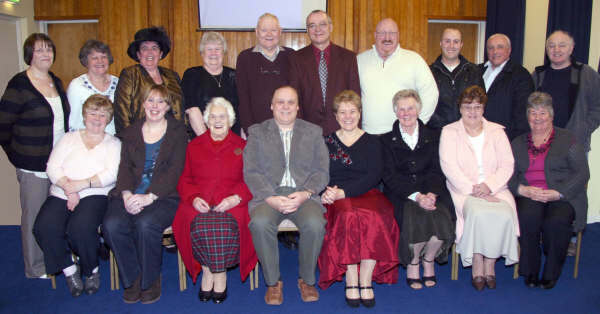 The Lisburn Apostolic Church was formed in 1937 when the fellowship was invited by a group of people to come into Lisburn. They first met for worship in the home of one of the fellowship members before moving to the Good Templar Hall in Linenhall Street where they remained for about fifteen years. In 1952 the fellowship moved to a corrugated iron hall erected on the site of the present church in Conway Street. During the ministry of Pastor Jim McKinley (1968-1978) the present church was built and opened for worship in June 1978. From 1978 to 1983, the pastor was John Langford. 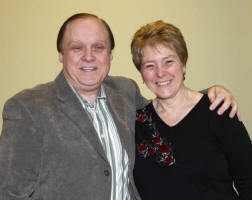 Pastor Kirk Graham was installed in September 1983 and retired in May 2003. The present pastor, Jim Vance, was ordained and installed on 22nd April 2006 in succession to Pastor Uel Cheyne who was installed in August 2003 and retired in 2006 due to ill health. The present pastor is a keyboard player and his wife Margaret plays the guitar; both are gifted vocalists and together lead the lively praise at this city centre fellowship.